Chicago Retail Theft Lawyer | Cook County Shoplifting Defense Lawyer - The Davis Law Group, P.C. Contact Northfield Shoplifting Defense Lawyer The Davis Law Group, P.C. At The Davis Law Group, P.C. our criminal defense attorneys have the necessary experience and knowledge and can handle any allegation of retail theft (misdemeanor of felony) that you may be facing in the Chicagoland area including Cook, Lake, and DuPage Counties. Retail Theft charges require an experienced attorney who can effectively navigate the courthouse where your case is pending. There are particular local rules and procedures that vary from county to county and courthouse to courthouse. We thoroughly examine the evidence that we receive on every retail theft allegation to determine whether or not your case should be taken to trial or challenged at a pre-trial motion hearing. In the event that the evidence is not favorable to our client, we are experienced negotiators and can often resolve cases favorably through plea negotiations. Some counties, such as Cook County, have a program known as Theft Deterrent School, which is a form of deferred prosecution. Certain alleged offenders, if they have little or no criminal background, may attend a theft deterrent class and later return to court to show proof of attendance. As long as the defendant has not been arrested while on bond and has a certificate of completion from the theft school, a dismissal of the charges for our client may be achieved on a scheduled return date. Keep in mind, this program is not available to all alleged offenders and is reviewed and negotiated by the assigned prosecutors on a case-by-case basis. 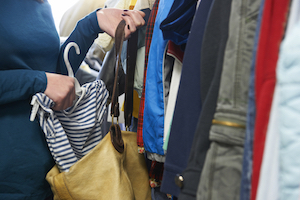 For other individuals, misdemeanor retail theft charges may result in Court Supervision. Court Supervision is a favorable outcome because it does not result in a public criminal record, and not considered a misdemeanor conviction under the Illinois Code of Criminal Procedure. For those with a more significant criminal history, other sentencing options include conviction sentences, i.e. Conditional Discharge (which is similar to Probation but the Defendant is not assigned a probation officer), Probation (where the Defendant is monitored by the Adult Probation Department), or a county jail sentence that can range anywhere from one (1) day to three-hundred sixty-four (364) days in custody. In addition, community service, fines and costs may be part of any sentence. Felony allegations of retail theft are generally probation eligible. However, a defendant with a long history of retail theft convictions and/or other crimes, the accused may be sentenced to an Illinois State Penitentiary sentence if a matter results in either a finding of guilty after a trial, or a plea of guilty. In cases where the prosecutor makes an offer that is either not favorable or unacceptable to our client, our defense attorneys often engage in a special conference with the Judge and the prosecutor (commonly referred to as a 402 conference). This method allows our legal team to inform the Court about the positive aspects of our client’s personal and professional lives, rather than simply focusing on the charge itself, which is all the Court usually knows about the accused before a case is resolved. Often, after a 402 conference, the Judge will recommend a sentence that is more appropriate than previously offered by the assigned prosecutor, and accordingly may result in a favorable plea disposition. If our client is not satisfied with the recommendation made by the Court, he/she is free to reject that recommendation and preserve their right to have a trial by either a judge (bench trial) or a trial by jury. The retail theft attorneys at The Davis Law Group, P.C. have years of experience handling matters involving retail theft, and are familiar with local courthouse procedures, the various Assistant State’s Attorneys, judiciary throughout the circuit courts, and local Clerks of the Circuit Court. Feel free to contact us if you require legal assistance for any retail theft or other criminal defense matter throughout the Chicagoland area.